A vocations workshop will be held for people discerning a call to the diocesan priesthood. It will be held on the weekend of February 19/20/21. Topics concerning the spiritual, academic, pastoral and human formation of the priest will be discussed. There will be many speakers at the event and plenty of time to discuss various aspects of priesthood with priests in various ministries, parishes and chaplaincies. If you are interested please contact Fr.  Fintan at the diocesan office at 093-24166 or archdiocesetuam@gmail.com.